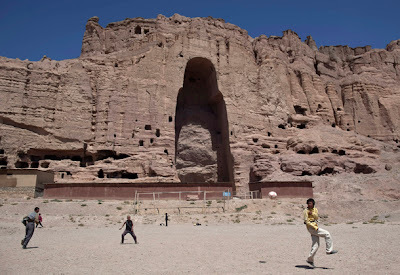 JAHANABAD, Pakistan — When the Taliban blew the face off a towering, 1,500-year-old rock carving of Buddha in northwest Pakistan almost five years ago, it fell to an intrepid Italian archaeologist to come to the rescue. Taliban militants climbed ropes to insert explosives in holes drilled into the face and shoulders of the Jahanabad Buddha, said Olivieri. The explosives in the shoulders failed to detonate, but the others blew off most of the face above the lips and cracked other parts of the carving and surrounding rock. Olivieri and his team began work this month on fixing the cracks and what’s left of the face. A full reconstruction is impossible because detailed documentation and fragments of the face are lacking. “Whatever you do in the absence of perfect data is a fake,” said Olivieri, who says he has wanted to be an archaeologist since age 6 and still brings a youthful exuberance to his work even as his beard grows gray. 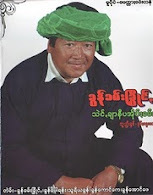 Arriving as a university student in 1987, he was fascinated by Swat, once an important center of Buddhist culture and trade. The monk credited with introducing Buddhism to Tibet, Padmasambhava, was born in Swat. In more recent decades, the area was known as “the Switzerland of Pakistan,” popular with religious tourists from China, Japan and South Korea, and the hope is that restoration of the Jahanabad Buddha will spark a revival of tourism here. Olivieri’s mission is funded by the Italian government, which works with local Pakistani antiquities authorities. It has uncovered over 120 Buddhist sites among Swat’s soaring hills and rushing rivers. Of roughly 200 Buddhist rock carvings in Swat, the Jahanabad Buddha was among the few to survive with its face intact for so long, said Olivieri. Most were defaced centuries ago by Muslim invaders who, like the Taliban, consider Buddha a false idol. In 2001, militants damaged the excavated ruins of a 7th century Hindu temple in Swat overlooking a stronghold conquered by Alexander in the 4th century B.C. Unable to protect the temple, the Italian mission had to rebury it. Ironically, the site that Olivieri was most worried about during the Taliban’s violent reign in Swat was an Islamic one — the roughly 1,000-year-old Udegram Ghaznavid mosque, the third oldest in Pakistan. He feared the militants would occupy and damage it, but that never happened. Pakistani security officials say the Taliban are again trying to infiltrate Swat, but militants are not the only threat to the archaeological sites. Looters are perhaps a bigger problem. Many relics looted from Swat are in private and public collections around the world. In December police arrested several men in Swat and seized a roughly one-meter-(three-foot) tall, 1,800-year-old Buddhist statue that could have fetched tens of thousands of dollars on the international antiquities market. The Italian mission has posted guards at the most important sites and is also training them to become guides by teaching them English, first aid and basic conservation techniques, said Olivieri. The mission opened in 1955 in an office provided by the Wali of Swat, the one-time princely ruler of the territory. To furnish a taste of home, its first draftsman painted a mural of Rome’s Spanish Steps in the dining room. The feeling of glimpsing Italy in the wilds of Pakistan’s northwest continues today. There’s espresso in the morning and Italian olive oil on the dining room table. A Fiat Campagnola jeep shipped from Italy in 1955 is due to end up in a museum in Swat. Associated Press writer Sherin Zada contributed to this report.